Video of RED Hydrogen Prototype Hands-On! Here we have our first hands-on look at the upcoming RED Hydrogen smartphone they are preparing to release. 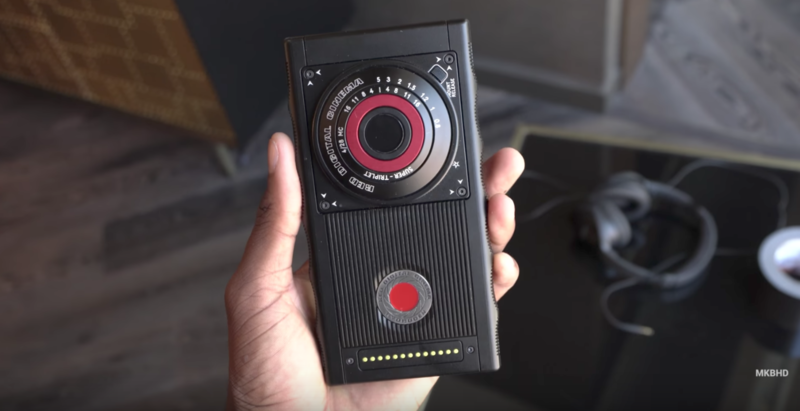 As many of you know, RED is known for making high-end cinema cameras, but now they have launched themselves into the deep end of the smartphone world market. The idea for RED is to create the world's most high-end smartphone with the option to modify and select what features you get. In the image below you can see the back along with the idea of a cinema-style lens attachment directly on the phone. These phones will be priced at $1,195 for the aluminum version and $1,595 if you wanted it in titanium. For a photographer and art director that takes quite a few photos and videos, I can easily see myself checking this thing out. 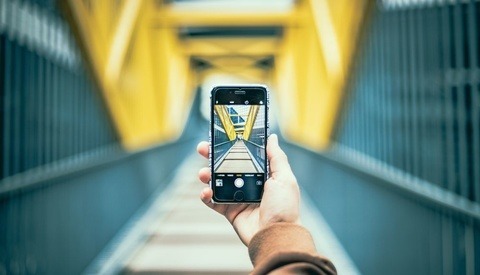 What do you think of the idea that high-end camera companies are starting to make smartphones? Would you buy a phone from Canon or Nikon, for example? I'd love the idea of modular phones explored more as it could be interesting to purchase a solid camera add-on to any iPhone. 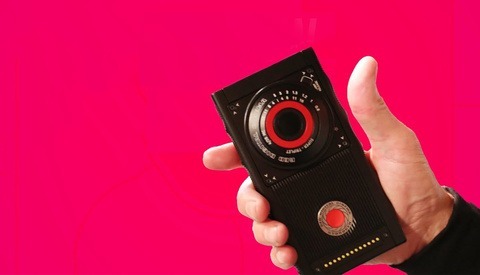 Would you buy this RED Hydrogen phone? Does it run on Hydrogen? Still not entirely sure what the heck I ordered??? Although the modular camera system does sound enticing, especially if it would better match my Helium compared to other smaller cameras. Oh snap, you pre-ordered one? That has to be my biggest pro about this style of phone system, the modularity. I have always loved the idea of a modular mobile. Make it your own in store and build it to spec. You can go base model with a badass camera for a little extra or you can go balls to the wall and fully spec it out. Just like any piece of tech, like a computer. That one with the updated cinema style camera looked super big though. That and have you see how slow/quick someone can build up their RED cameras? Be interested to see how quickly it can be done on a mobile. Still the primary reason I'm getting one is so I could use it as a dedicated device to control my RED, instead of using my phone/Fool Control. I've been renting my gear out a bit and not everyone has Fool Control on their phone, so it'll primarily be a part of my camera kit-but could definitely be a C Camera if the camera can be up to par. I rooting for RED but 3d phone screens have come and gone. It seems like a gimmick to me, but a pro level video camera in your pocket would be incredible. An honest question: why this and not a blackmagic camera if size is an issue? I just love the idea of a modular phone, I always have. The idea you can spec out a base phone with a full loaded camera or even go full on with a maxed out phone with all the bells and whistles. That phone looked super thick with the added cinema style lens on it though. 'What do you think of the idea that high-end camera companies are starting to make smartphones? Would you buy a phone from Canon or Nikon"
I wouldn't go as far as to call Nikon/Canon "high-end'. Hasselblad/Leica, yes, but they're smarter than trying to "diversify" their product lineup with a gimmick like a smartphone, and devalue their brand in the process. I honestly don't know what RED is thinking. They may be a known name amongst the photo/video crowd, but to the mainstream consumer, they're a "who's that?". Smartphone market is one of the most competitive and saturated markets right now. And a $1000+ price point is where the iPhone 8 is expected to land. I just don't see any Art Directors forking over the cash when they can own the latest and greatest iPhone from an established and reputable brand vs. a guinea pig product from a relatively new brand whose focus has been anything but phones. Trying to cram "pro" video features into a device designed primarily for calls, texting, and using apps is not going to force anyone to magically adopt that fairy-tale all-in-one device. People (inlcuding overpaid Art Directors) are still going to use their phone for what it is, in addition to a secondary video recording device, because each tool is designed for a very specific purpose. Very true on high end, I think I was meaning to say bigger camera companies who specialize in just cameras jumping into a totally different market to make a phone that would also be a pro style camera in one. 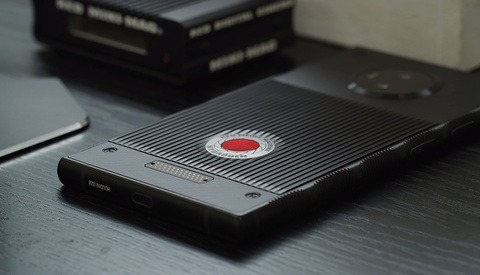 I mean, RED is def not mainstream so they will just keep this phone up in the cloud of higher end users. I personally as an art director would never buy up a phone that isnt tried and true for my every day use. Be interested to see how this thing performs but also how it evolves over the next couple years if it succeeds. Sorry folks, it's hipster bait. Yes, this will be the 'must have' for avant garde directors and DP's. Vast majority of cell phone users have never heard of RED, and the vast majority of us who have want a WEAPON, not a toy. True. Gotta start somewhere though. I have seen this countless times before from phone manufacturers trying to get into the market. I do love how OnePlus is jumping in with what they have and succeeding well. Would be interested to see how exactly would buy this beast of a phone though.